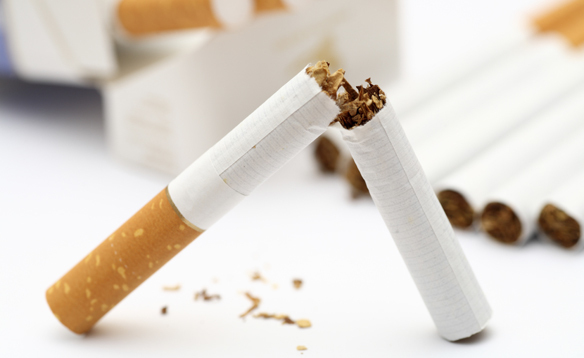 Smoking causes many serious and fatal diseases including lung cancer, heart disease, bronchitis and emphysema. It also causes many cancers as well as causing strokes and it can affect fertility. Cigarettes contain over 4,000 toxic chemicals and around 50 of these can cause cancer. Has smoking affected your energy levels? Carbon monoxide is a gas inhaled with cigarette smoke. Carbon monoxide reduces the amount of oxygen that your blood cells can carry and means your heart and lungs have to work harder to get oxygen around the body. Tar also damages your lungs further reducing the ability for your body to absorb oxygen into the bloodstream. What could you use to help you quit? There are many different products available to help you quit. Nicotine products come in different forms such as inhalers, patches or gum and are known as Nicotine Replacement Therapy or NRT. NRT gives your body nicotine without you getting the other harmful chemicals; the idea is to reduce your addiction by decreasing the nicotine dose taken gradually. E cigarettes have recently become another popular option for the delivery of the nicotine required to help reduce cravings. If you want to improve your health and fitness then quitting smoking is definitely an important step in the right direction. The damaging effects of smoking may not be fully reversible but you can reduce the effects by quitting smoking now and starting a regular exercise routine to strengthen your heart and lungs again. Talk to your GP about Nicotine Replacement Therapy (NRT) or start using an e-cigarette. Giving up smoking is not easy and e cigarettes are an alternative to smoking tobacco as part of a on-going program to quit smoking. Would you like to buy e cigarettes?